While audiences await Avengers: Endgame with bated breath, Marvel’s Black Widow prequel is rounding out its cast with Scarlett Johansson’s lead character. Among the cast said to join the project are David Harbour, Rachel Weisz, and Florence Pugh. The Hollywood Reporter has discovered that Harbour will be the first addition to the film’s cast after Johansson. Meanwhile, Variety has spotted info indicating that Weisz will also be in the movie. Apparently, these two roles are connected, as Harbour and Weisz may have been tested together; rumors have them pegged as supporting antagonists. In addition, HN Entertainment are reporting that Florence Pugh is set to take the role that she was in the running for, backing up a previous report from another website. Pugh is set to portray a spy similar to Black Widow herself. That last bit of news also came with an update revealing that Charles Wood would serve as a production designer on the movie; he’ll work alongside art director Jim Barr, costume designer Jany Temime, and second unit director Darrin Prescott. 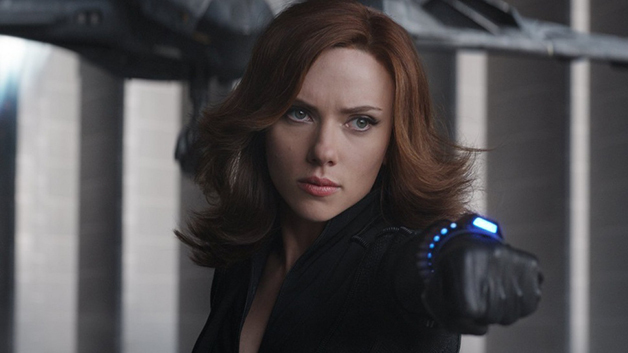 While plot details are under wraps, the movie is believed to be set prior to the events of Iron Man 2, delving into Natasha Romanov’s untold history as a Russian spy, along with her early days as a S.H.I.E.L.D. agent. The movie will be directed by Cate Shortland and is written by Jac Schaeffer. Production on the film is set to begin this June, mere weeks after the release of Avengers: Endgame and weeks before Spider-Man: Far From Home arrives. More casting news is expected to arrive soon as things heat up for this project, although Marvel most likely will not make a peep about the movie until after the Infinity Saga has concluded. Black Widow is in development at Marvel Studios, and although no date has been scheduled, the movie is most likely seeking Marvel’s tentative May 1, 2020 release date.